Mirza Manzoor Hussain Beigh pen name Khaaksaar is writting and chanting nauha from last four decades. 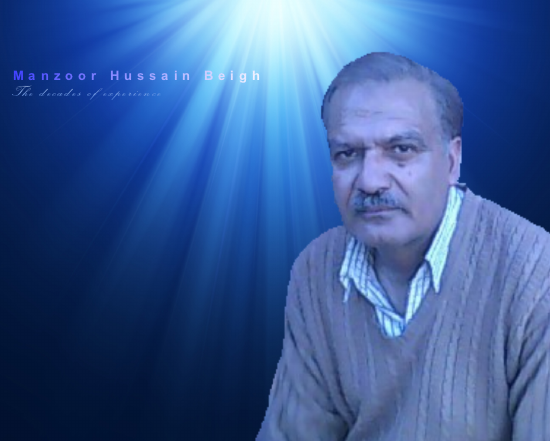 He is a prominent Nauha writer of the Kashmir Valley. He has written more than one hundred of nauhas and is chanting them as well. Among his popular collection is. 'ami loukchar mate martam che khat kartam sheerkhaar asgaro' . He is living in his ansestral reside at Nowpora. Mirza Manzoor Hussain Beigh is admired as prominent nauha writer of valley. 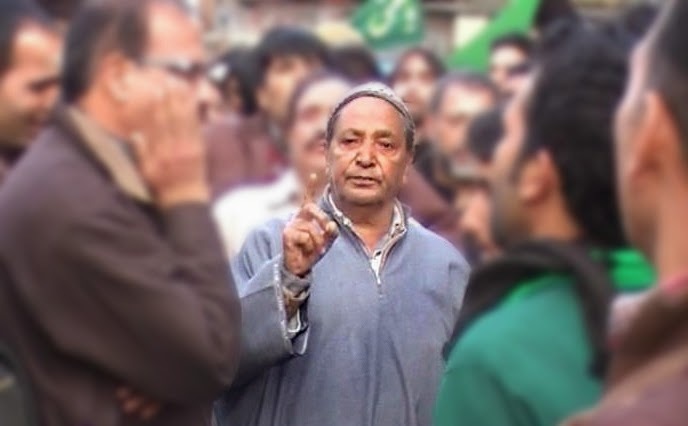 In Major Ashura processions of 1980's from central heart of J&K state (abi guzar-zadi bal) Manzoor Hussain Beigh was a main characters. Manzoor Hussain Beigh. 's lyrics have been used by other noha khans of state many times. Several times his nauhas have been telecasted & broadcasted from PBBCI. Mirza Manzoor Hussain beigh is the prominnent nauha chanter of grand zuljunah procession of kashmir's summer capital Srinagar. However his ancestral nohas are being chanted state wide especially 'ye chu zuljanaye syed e shohda'.